The Nike Kobe 1 Protro is one of the most interesting shoes of this year, and its only getting better. 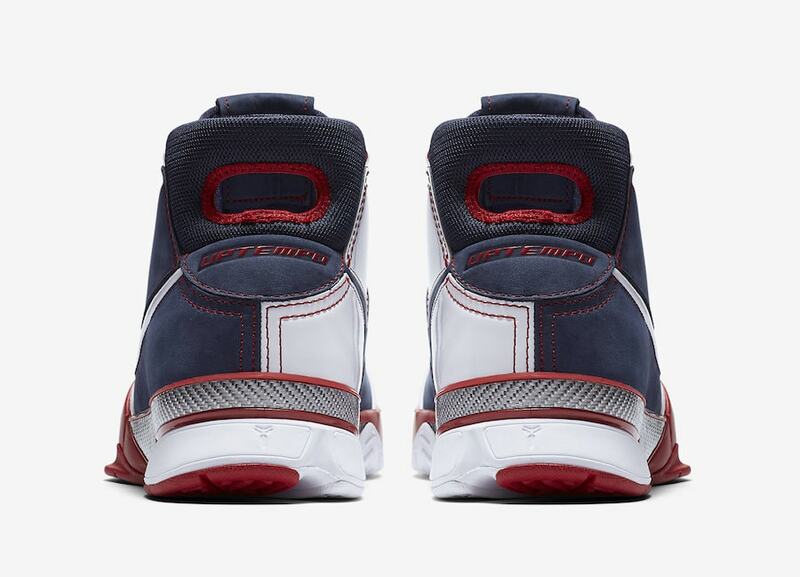 This month, we got our first look at the OG “USA” colorway, which is now set to release soon in full Protro fashion. 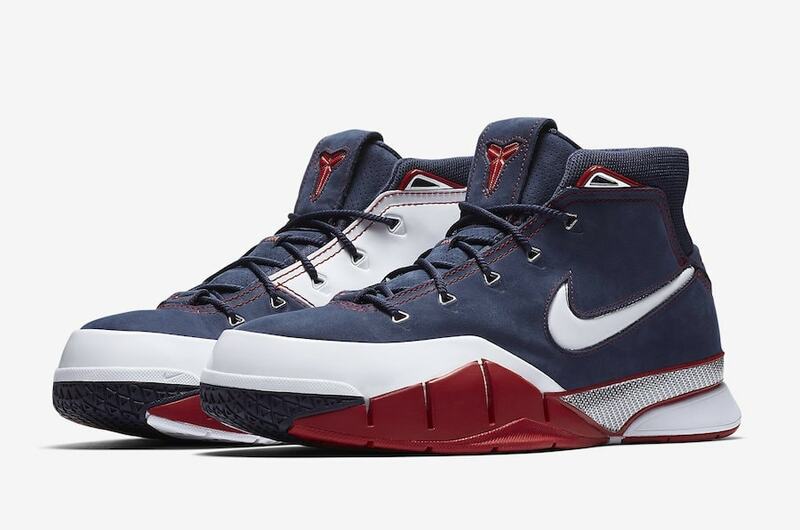 Kobe Bryant made a brilliant move with his Nike Kobe 1 “Protro”. First released during the NBA’s All-Star Weekend in February, the shoe was anything but a true retro. Instead, Kobe insisted that he wanted his sneakers to still be wearable on the court today, and Nike made it so. The name Protro actually stands for “Performance Retro” and is an extremely apt name for the new shoes. The insides of the shoe have been completely gutted and replaced with the latest and greatest technology Nike has to offer, making them one of the best basketball shoes currently on the market. 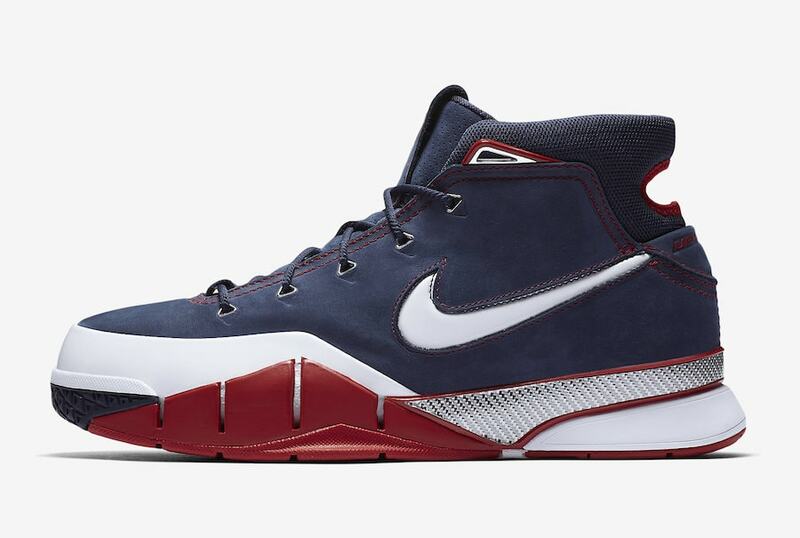 The latest colorway of the Nike Kobe 1 Protro to surface online is one of the cleanest yet and harkens back to Bryant’s days on the Team USA squad. 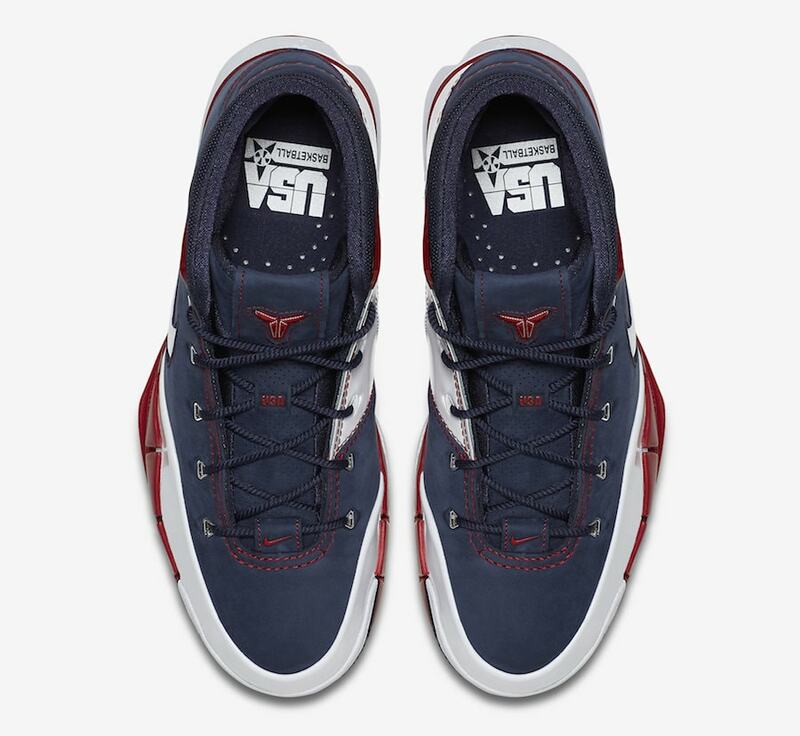 The plush leather upper begins with a deep navy blue tone, split up by white sections around the toe and medial sides. The main Swoosh also comes in white matching part of the midsole, while red detailing finishes out the model. The next Nike Kobe 1 Protro is scheduled to release sometime in August 2018. 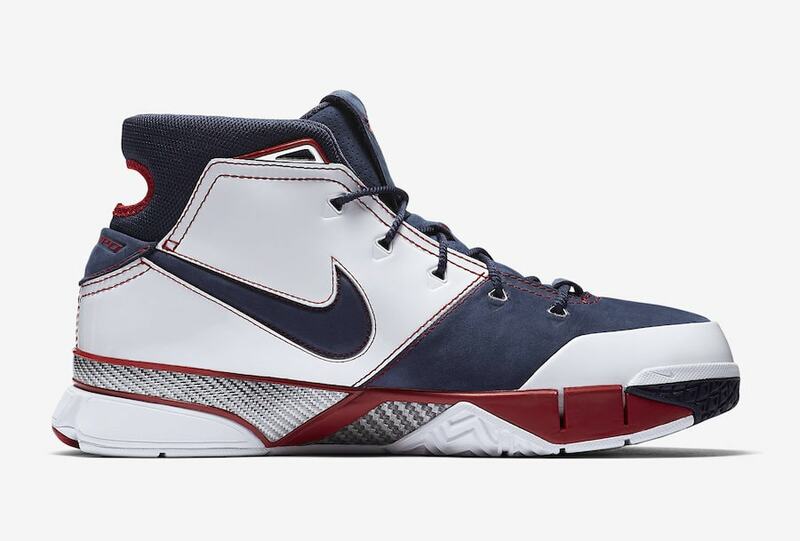 The retro “USA” colorway will retail for the usual $175 from both Nike and select basketball retailers. Check out the early images below for a better look, and stay tuned to JustFreshKicks for an official release date.